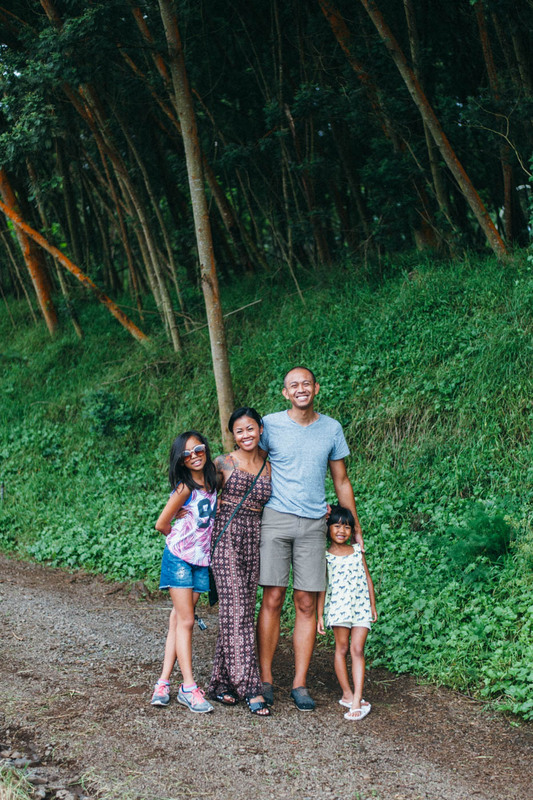 I'm sure you followed along some of the Maui adventures on Instagram especially since I couldn't help but flood my feed of all the amazing experiences and moments we had as a family. This vacation was much needed for all of us especially since my husband and I have been non stop on the go all summer and for the past twelve weeks while Encarnacion Photography was knee deep in wedding season. I can't wait to share all of my memories with you on the blog, but one in particular that I wanted to highlight was the farm tour of O'o Farm. 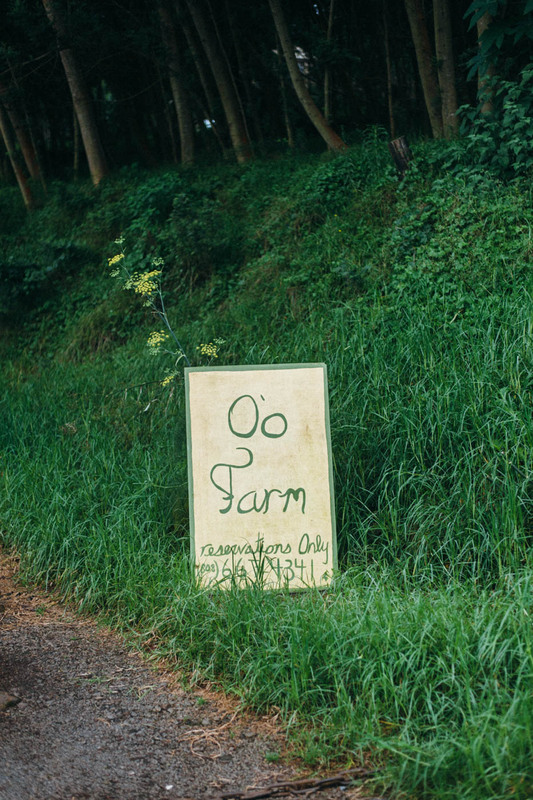 The first time we heard about O'o Farm was when we shot a wedding at Pacific'o restaurant four years ago in Lahaina. 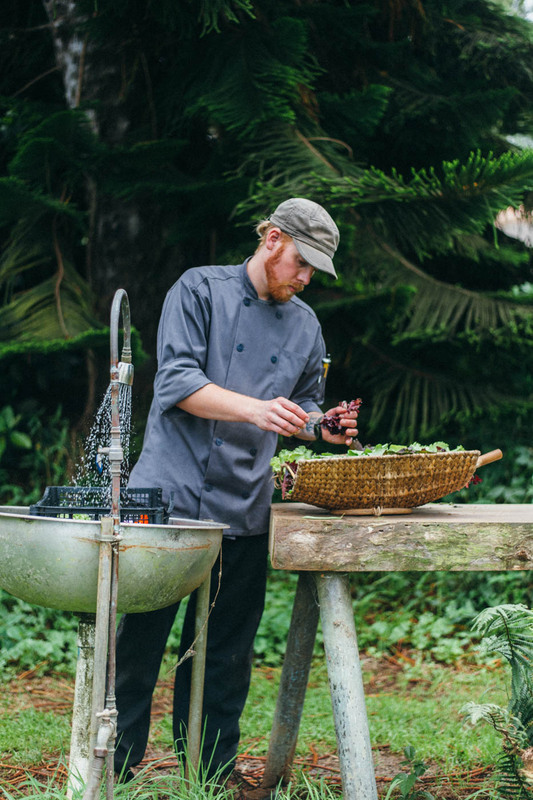 Pacific'o is one of the few restaurants in Maui that incorporates an amazing farm to table seasonal menu which highlights some of the finest ingredients found on Maui and the freshest fish caught for the day. If you are planning a visit to Maui, Pacific'o is a must for your taste buds. 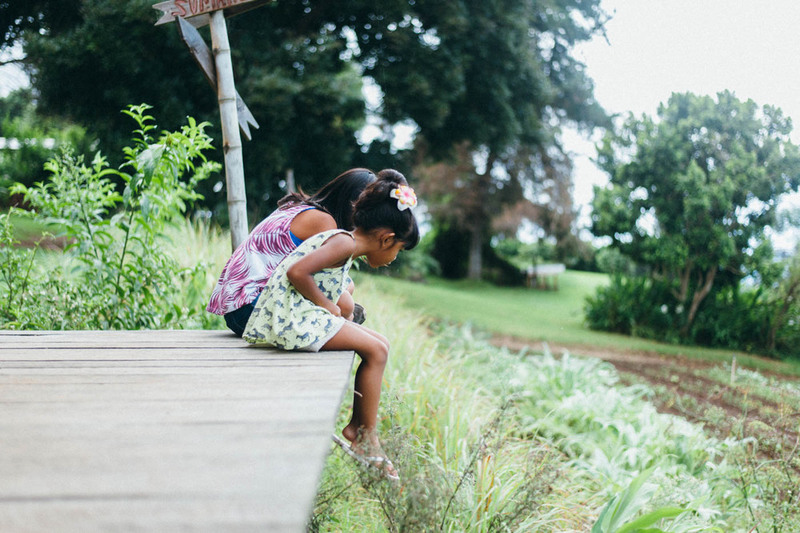 During our dining experience they had mentioned that we should tour the farm, but since our dinner was on our last night in Maui it was too late for us to schedule something then. 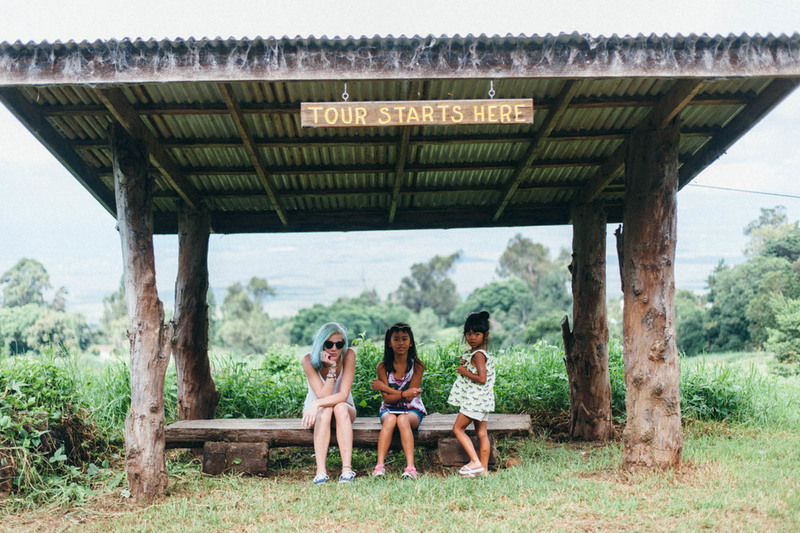 So this time on our trip to Maui, we made O'o our first major adventure and one I would do all over again. 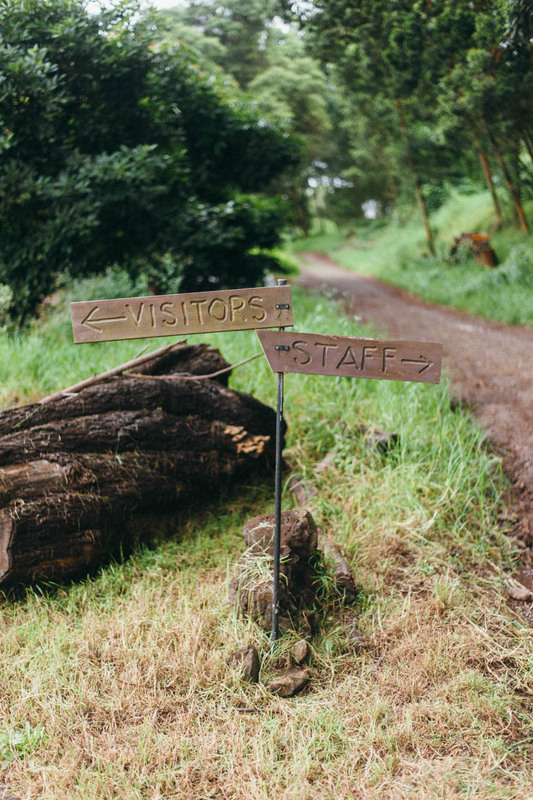 O'o Farm is nestled in upcountry Maui tucked away from the heat of the beaches in its much cooler climate. 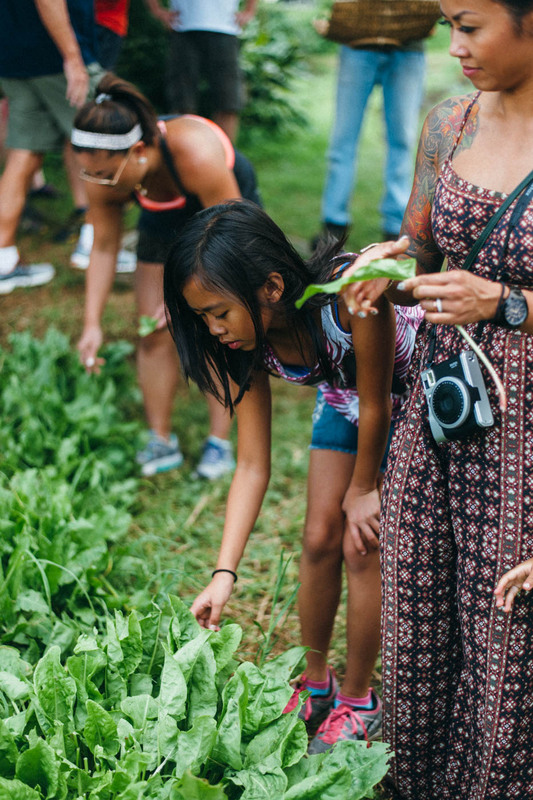 Across their eight acres you will find beautiful stone fruit orchard with some exotic Hawaiian citrus, rows of lettuce, garden vegetables, and a handful of freshly planted coffee trees which are featured in the Aina Gourmet Market at the Honua Kai. 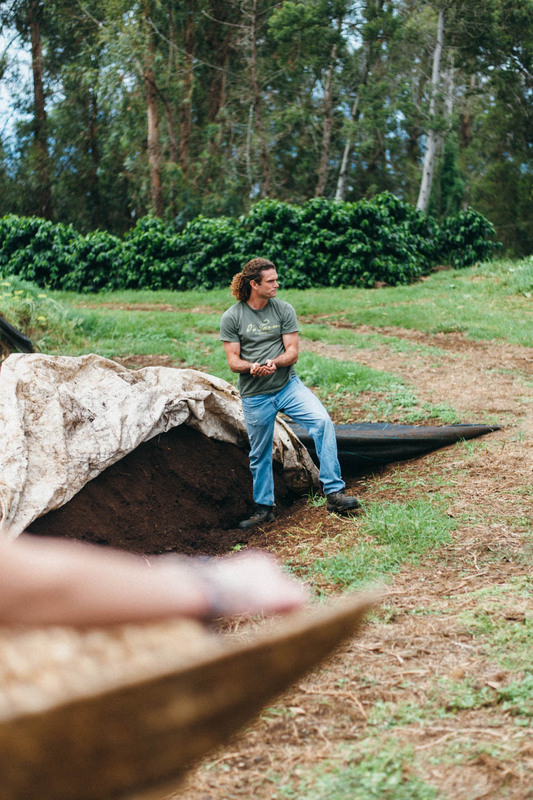 This was a treat for us since we were also staying at the Honua Kai and have been known to be slight coffee snobs who enjoy a cup of Sightglass pour over and Stumptown cold brew coffee. The tour began with a meet and greet with Ancil Clancy, the orchard manager on the farm. 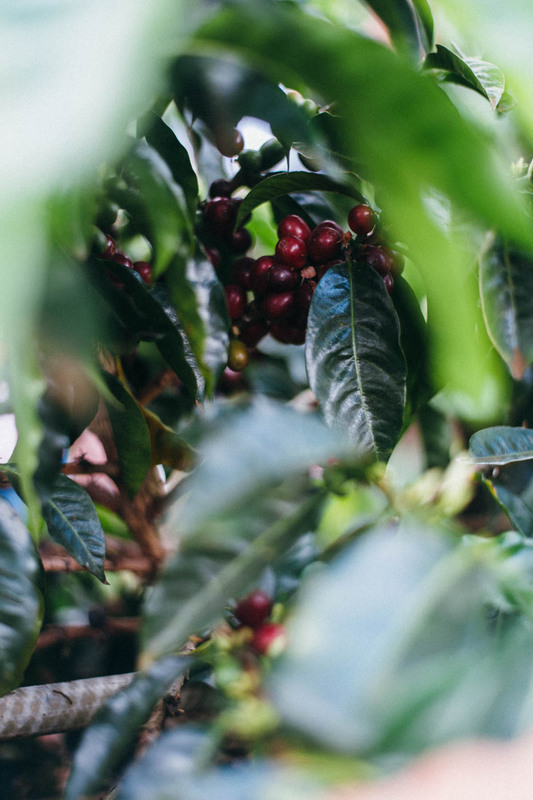 You can tell by the way Ancil talks about each crop or product that he has a vast amount of knowledge, dedication, and passion for his craft. Something that any foodie can appreciate when someone is describing the food and the time taken into the harvest and process of the ingredients you are about to indulge in. Ancil is also in charge of nurturing the coffee orchard which includes harvesting, processing, and roasting the coffee. 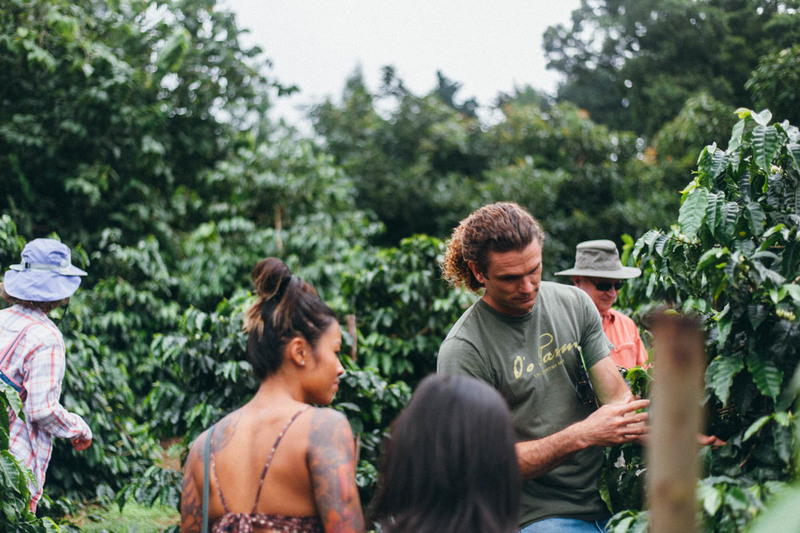 The tour starts with a brief walk through the orchards learning a big about coffee, the fruit, and the tasting the berries of the coffee. Then you meet Chef Daniel Eskelsen and he provides an extensive overview of the menu for the day and the ingredients that are featured in the menu. All the produce on the menu was picked that day as well as the fresh catch which happened to be Opah, a moonfish. The salad on the menu was hand picked by us straight from the garden which was such an incredible treat for the girls. 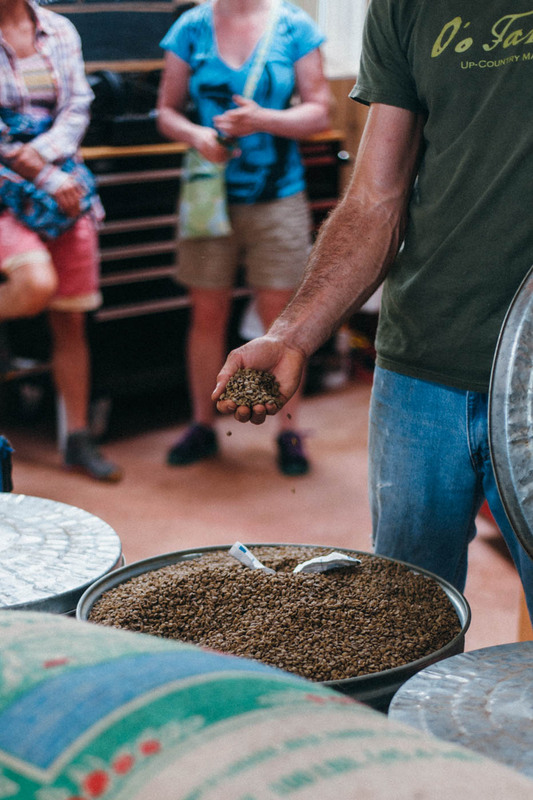 Included in the tour was an overview of their coffee roasting process for Aina Coffee, a 100% Maui grown coffee which is a single origin that offers unique characteristics and a mild beautiful roast. A definite treat for any coffee lover. 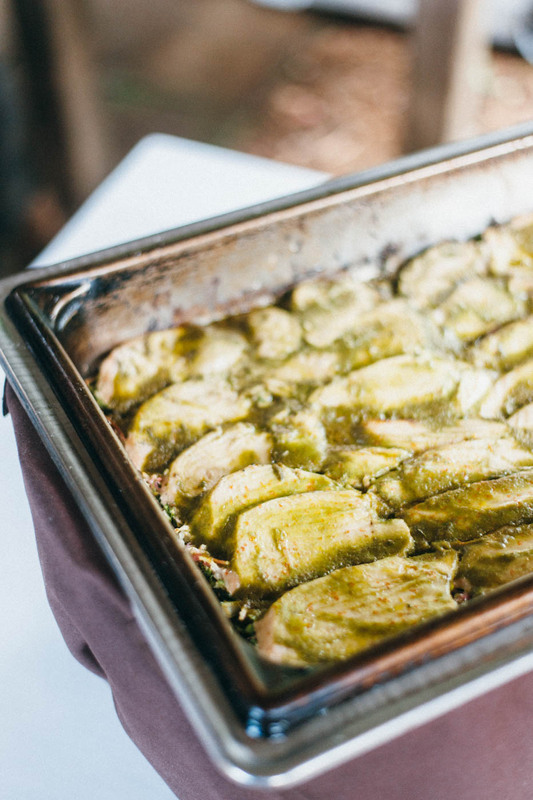 We've always has a dee love and appreciation for food and those involved in creating the wonderful dishes we enjoy at many of our favorite restaurants, but this experience deepened it. You can tell how mix love and attention goes into creating an amazing product. The knowledge and care that goes into the process of growing and harvesting food was unbelievable. Here are some photos from the day taken by both Jonathan and myself. We hope you enjoy. Aloha! Wood Fire Roasted Chicken featured with a puree of garden root vegetables made into a "gravy"